The apex court collegium, headed by Chief Justice Ranjan Gogoi and comprising Justices SA Bobde, NV Ramana, Arun Mishra and RF Nariman, transferred Justice Nandrjog. The Supreme Court Collegium has recommended transfer of Justice Pradeep Nandrajog to Bombay High Court. 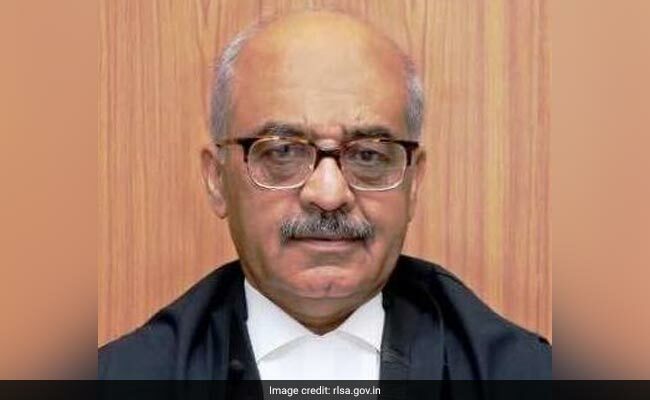 The Supreme Court Collegium has recommended transfer of Chief Justice of Rajasthan High Court, Justice Pradeep Nandrajog, to Bombay High Court. "Office of the Chief Justice of the Bombay High Court would be falling vacant shortly, consequent upon retirement of Justice NH Patil, Chief Justice of that High Court on April 6, 2019. Therefore, appointment to that office is required to be made. The Collegium resolves to recommend that Justice Pradeep Nandrajog, Chief Justice, Rajasthan High Court, be transferred, in the interest of better administration of justice, to Bombay High Court," said a March 28 resolution which was uploaded on Friday. A row had erupted earlier after names of the chief justices of the Rajasthan and Delhi high courts, Justice Nandrajog and Justice Rajendra Menon respectively, were considered by the collegium on December 12, 2018 for elevation, but the deliberation remained inconclusive and one of the members of the collegium, Justice M B Lokur, retired on December 30, 2018. The new collegium had, on January 10, ignored the prospect of elevation of justices Justice Nandrajog and Menon as apex court judges and recommended names of Justices Dinesh Maheshwari and Sanjiv Khanna, who were elevated.